For some of my students of a certain age, they love series chapter books. I probably shelve and reshelve more Rainbow Magic and Beast Quest and Geronimo Stilton books than everything else combined for this age range (Grade 2~5). Some kids go in for fantasy – Rainbow Magic, Beast Quest – but others like realistic fiction, like the Little Animal Ark books and Critter Club. Some combine their love of princess and cute animals with the Rescue Princesses books. Judy Moody and Junie B. Jones go in and out daily, but Sassy sat on the “chapter books” shelf, mostly ignored, even while Sharon Draper’s Out of My Mind is a huge hit with slightly older students. Every year, I have at least a handful who come in, clutching it to themselves, breathless, telling me ohmygoodnessit’sthebestbookeveryouhavetoreadit all in one breath. So why not Sassy? It’s a heartwarming story about a quirky, adorable little girl and her family and her best friends – so, basically all of the things Junie B. Jones is about, or Judy Moody, and really what’s at the heart of the Rainbow Magic books, except they have wings. Out of My Mind looks like this. In a Q&A on her website, Sharon Draper says that Melody’s race is intentionally left ambiguous. Although this blog post at YASLA is about YA lit, it probably filters down to middle grade and even early chapter books. The Rainbow Magic fairies that my students love so much come in a variety of colors, but there’s not much/any diversity in shape, hair texture or style, clothing… Junie B. goes home every day in kids’ backpacks, but Sassy is a tough sell. It’s not just Sassy, either. As a librarian, I make a conscious effort to purchase, display, book talk, and share diverse books – not just during special theme months, but all of the time. I believe in the importance of diverse books, and I believe in the power of good books. I believe in windows and mirrors. It’s not enough to simply buy these books and let them gather dust on the shelves. It’s my job to put books in students hands, and help them find titles they might otherwise miss. 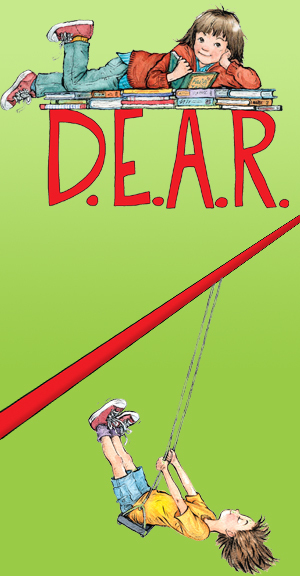 Every year, my school has a “Book Character Dress-up Day Parade” to kick off our annual, month-long Drop Everything And Read (D.E.A.R.) event. Once a week, the whole school – students, of course, but also teachers, admin, even the custodial staff and visitors – “drops everything and reads” for twenty minutes. The parade is a big hit. All of the elementary students and teachers dress up as their favorite book character, and while the little kids really love it, sometimes we have a harder time motivating the big kids. Last year, the Teacher Librarian came up with the idea of a contest for students, which has now been extended to include staff, too. The art teachers judge the most creative costumes, and students win (what else?) books. Our parade is on November, but posters go up early to get students thinking… Oh boy, are they thinking. Especially now that they know there will be a prize, the bigger kids are eagerly planning their costumes. One student comes by every day after school for new books, and lately she’s been sharing her plans with me about her costume. She considered Violet, from A Series of Unfortunate Events and today she said maybe Paper Bag Princess, but her favorite idea so far is to be Matilda (from Matilda, of course). Today, she told me about her Matilda costume plans. She has a blue dress and white bobby socks and red ribbon. I told her I thought it sounded like a great idea, and she asked what I planned to do. Last year, I was The Little Prince. I told her I might wear that again, because I like it. I like The Little Prince and I read it to my fourth and fifth graders last year, so they’ll recognize the character. My student said that would be “boring” (oh, honesty) and suggested that I be… Miss Honey! I wanted to be Miss Honey. I still pause and ask myself “what would Miss Honey do?” sometimes during the day. I’m so flattered that this student would suggest this as my costume. Not only do I love and admire Miss Honey, but that she would suggest we chose a pair of characters – a clever girl and her favorite, wonderful teacher – just filled me with joy. This has been a post for Two Writing Teacher‘s Slice of Life Challenge. Ah, Redwall. Nostalgic memories abound of my bff Mousey and I running around outside in the woods outside my house playing at being, well, mice. The best was when we went camping at the North Beach Campground, because there was this big red brick building you could see from our camping site and we liked to pretend it was either Redwall or Tsarmina’s castle, depending on the day. 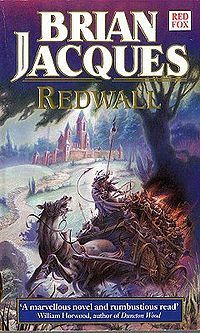 My first fanfiction was Redwall fanfiction. I have a lot of feelings about Redwall. So, I was thrilled to recommend it to a student. I don’t know how much appeal this would have with students nowadays, but it’s a little too nostalgic for me to really tell. I loved it, but maybe I only love it because that was the version my library had when I was twelve? Maybe for my student, that ugly cover above will someday mean the same thing to her that this purple border does to me. I can only hope. One of my favorite things about my job is recommending books to students, but man, are they picky. I like to show them “before and after” covers of their favorites to convince them to try something beautiful wrapped in an ugly package. 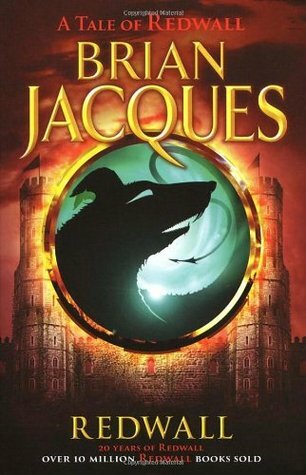 Mostly what I remember from Redwall (the whole series) was the warm and inviting abbey, and the characters I wanted to be my friends. I wanted to live with the mice in the order and wield the Sword of Martin to defend my home. I guess that’s the thing with book covers. Just as each reader takes something different from the story, each cover tries to sell different aspects of those stories to the right reader. 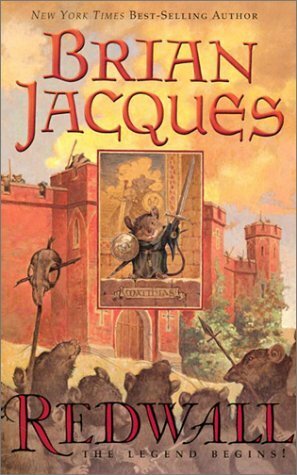 For me, the homey warmth of Redwall Abbey – the adventures forth and safe return – were the draw of the books, and the camaraderie of the characters, best mouse friends or Long Patrol mates. 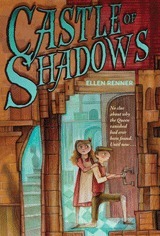 I read Castle of Shadows by Ellen Renner this week. 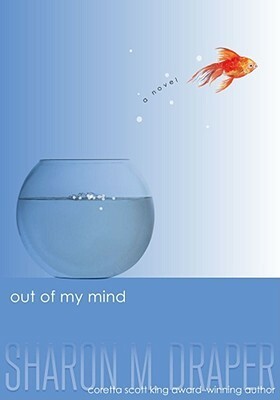 When I went looking for a cover image for What Are You Reading? Wednesday (which I didn’t even use…) I found that there was more than one cover. I guess this shouldn’t have surprised me so much, but I loved the hardback cover (pictured, left) so much that it didn’t even occur to me that it would get a major redesign. 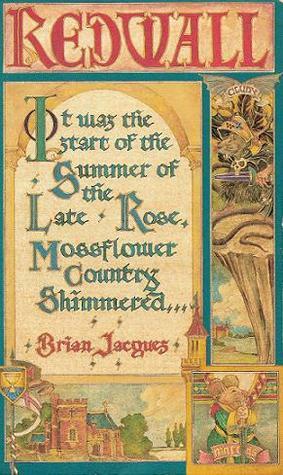 This is the cover I saw when I was browsing for something new to read, and it pulled me right in. It promised some good, clean middle grade fun. There was some intrigue in there and I liked scruffy looking Princess Charlie right away. 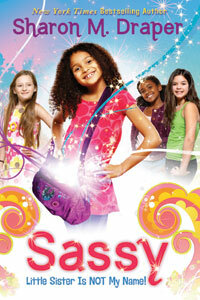 In fact, her frizzy hair and the look on her face sold the book to me. I thought, “this is a girl I would love to read about,” and I was right. I just adore Princess Charlie, but more on that another time. The first cover image I found was this one. I still liked the first cover better, because of Charlie and the more imaginative use of type, but this one still told me what I was getting into. 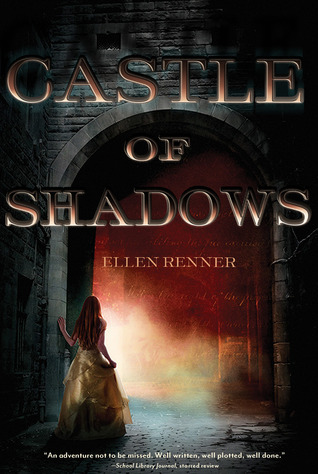 The story was actually a little darker than I expected, so I liked that about this cover; the silhouetted castle is imposing and the lights burning inside make it kinda creepy. The kind of castle, which I can’t name but have seen before in movies, helps set a time for this story. Because it’s set in a world similar to but not exactly the same as ours, I had a hard time figuring out when this book took place. So I asked Ellen Renner about it on Twitter, of course. @tokyocosmonaut Alternative history based on 1830s Victorian England. Glad you liked it. Will write 3rd book in series next year. … but let’s be honest, how many readers are going to do that? What I didn’t like so much about this cover is that it obscured Charlie (and Tobias) from view. Their silhouettes could be running from (or to!) anything, and maybe they’re skipping? It’s hard to tell. I just loved Charlie in the first cover so much that I read a whole book about her; I’m not sure I would have picked up this edition because you can’t see her, not really. Which brings me to the paperback. What is with this cover? I mean, really. This isn’t the Charlie that I read about at all. This is not a book I would have picked up to read for myself and it’s not a book that I would be just dying to get into my library to share with my students. This looks like a paranormal romance YA novel. I don’t want to knock paranormal, romance, YA or paranormal romance YA, but that’s not what this book is about. It looks like this teenaged princess just escaped another boring soiree and she’s just about to find out about her vampire hunter bloodline or something – not an eleven-year-old girl getting in over her head in political scheming trying to find her missing mother. Despite my background in graphic design (true story), I never really noticed book covers before I became a librarian. I picked up on some stuff, sure: I bought The Divide because of the cool way the cover opened and I collect different editions of Harry Potter and the Sorcerer’s Stone from around the world. … but that was all just personal interest. I never thought (consciously, anyway) about what covers mean. 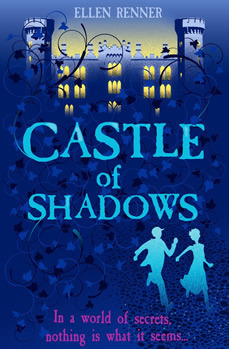 I could “sell” the first two covers of Castle of Shadows to my students, but the last one would be a tough “sell” to the boys and even to a lot of the girls who I think would really love this story because it doesn’t feel like the book inside. Sure, that last cover is trying to sell the book, but not to the audience that I serve in my job as a librarian.